Owner Jeff Williams has been painting since 1985. 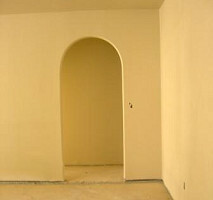 Serving Dallas and surrounding areas' residential customers with quality painting. We are your texture specialists. Specializing also in faux finishes, custom colors, and staining. When you want a painting contractor that can satisfy even the most discriminating customer, call Jeff at AAA Painting today for your free consultation.